If waking up each morning having to put your make-up on is a pain, then semi-permanent make-up could be exactly what you need! 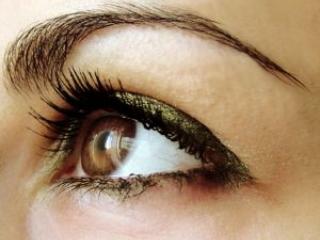 Beautology are Bristol's Semi Permanent Make-up Experts. Call us for a chat or to book a FREE Cosmetic Tattooing Consultation. What is Semi-Permanent Make-up (Otherwise known as Micropigmentation or Cosmetic Tattooing)? As we age we lose definition in our facial features, making us look older, this is mainly due to reduced volume in our eyebrows, eyelashes and thinner lips. However with the help of Permanent or Semi-Permanent Make-up (Otherwise known as Cosmetic Tattooing or Micropigmentation) a precise artistic technique can be used for placing coloured pigments into the skin which enhances your features and replaces the need for make-up. The tattooing nature of the process enables the pigment (not ink) to remain in the skin for eighteen months to four years. The semi-permanent make-up procedures are very safe and effective and used for variety of cosmetics enhancements including: eyebrows, upper and lower eyeliner, lip liner, lip blush and beauty spots. How does the Cosmetic Tattooing feel? What areas can I have treated with Semi Permanent Make-up or Micropigmentation in Bristol? Hair Stroke Brows - Liberate yourself from your brow pencil! 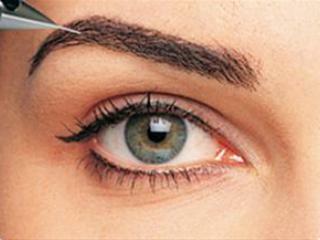 Create more volume and shape in your brow with the addition of a few expertly placed natural looking hair strokes. This technique is excellent for balancing asymmetrical brows and filling in gaps leaving you with beautiful naturally shaped and full brows. Powdered/Blended Brows - Redefine, lift and emphasise your brow with a combination of soft shading and expertly placed hair strokes. With this method, brows can be realistically re-created where they have been over-plucked or lost due to Alopecia. Alluring Lash Line - Make your lashes look thicker and darker with a subtle enhancement in between your lash roots. Enviable Almond Eyes - Define and line your eyes with a sculpted eyeliner. This begins with a fine crisp line at the inner corner of the eye and widens gradually toward the outer corner. Extreme Liner - Let your eyeliner make a statement with a high definition dramatic line of maximum thickness. Please note, thicker eyeliner will require additional treatments. Lip liner - Restore lost definition by creating fuller and more sensual lips without need for frequent injectable fillers. Blush - A subtle blush of colour can be added to soften and blend the lip liner into the lip creating a softer looking pout. Full colour - Maximum definition and lustre with a full lip colour treatment. Katie Price, Amy Willerton, Sophie Anderton, Andrea Maclean and Jessica Clements are all Semi-permanent make-up lovers. If you have any aesthetic concerns and believe that semi-permanent make-up could help, then book in for a free semi-permanent make-up consultation at Beautology in Bristol.